Cute alert! I have to share a new favorite pattern I’ve tried out recently. If you like Downton Abbey or think that flapper fashion should make a comeback in four years, then you will absolutely love the newest pattern I’ve been obsessed with. If you are a crocheter and you haven’t already checked out Olivia at Hopeful Honey then do it now! I have had a few of her patterns pinned on my Pinterest for a couple of months but a few days after Christmas I was finally inspired to buy the proper yarn these patterns call for. AKA Micheal’s had their big blow out sale that I went a little nuts at. Of course my first shopping trip of 2016 was spent on yarn. After deliberating between a couple of Olivia’s vintage inspired patterns, I finally settled on the 1920’s Pompom Cloche Hat. Okay, so maybe I was just a little excited to try out my new Clover pompom maker I bought at the sale. This pattern calls for bulky yarn, a tapestry needle, a pompom maker, and a size 6mm crochet needle. It just so happened that Loops & Threads® Charisma™ Yarn was on sale for only $1.99. It felt like a steal! With so many different colors to choose from I chose some matte colors earlier in the week, but then came back for some red! This pattern works up really quick since the weight of the yarn is bulky. I had to use three skeins per hat (two of the same color and one for the color strip at the bottom of the hat) but I had plenty left over. Working with Clover’s Pompom maker basically changed my life of making pompoms, which I just so happen to do often in my work. It just so happened this weekend I got to put my new hat to good use. The theater I work at premiered The Great Gatsby so of course I had to show up in my finest dandies! I couldn’t pass up the opportunity to dress in the fashions of season 5 Downton Abbey…as in the poor popper in the background of the London streets, not Lady Mary of course. Once again, to check out this pattern and more vintage inspired like it you should visit Olivia’s website at www.hopefulhoney.com. 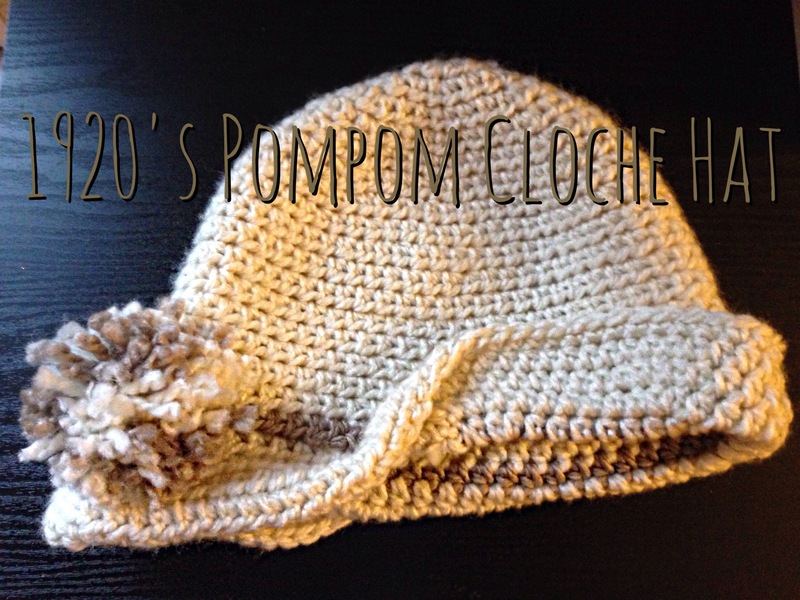 To learn more about Clover pompom makers like the ones that I used for this pattern, I would recommend this smart tutorial that I watched when making mine here!